Set in magnificent Renaissance France, this is the story of two remarkable women, a mother and daughter, driven into opposition by a terrible betrayal that threatened to destroy the realm. Catherine de' Medici was a ruthless pragmatist and powerbroker who dominated the throne for thirty years. Her youngest daughter Marguerite, the glamorous "Queen Margot," was a passionate free spirit, the only adversary whom her mother could neither intimidate nor control. 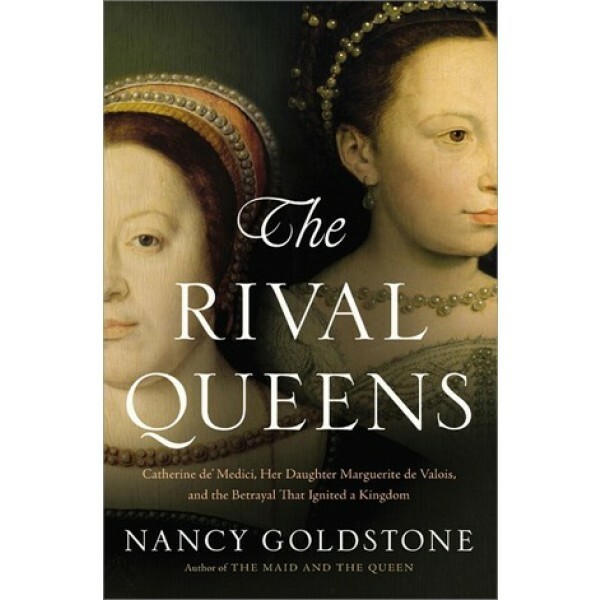 When Catherine forces the Catholic Marguerite to marry her Protestant cousin Henry of Navarre against her will, and then uses her opulent Parisian wedding as a means of luring his followers to their deaths, she creates not only savage conflict within France but also a potent rival within her own family. Rich in detail and vivid prose, Goldstone's narrative unfolds as a thrilling historical epic. Treacherous court politics, poisonings, inter-national espionage, and adultery form the background to a story that includes such celebrated figures as Elizabeth I, Mary, Queen of Scots, and Nostradamus. 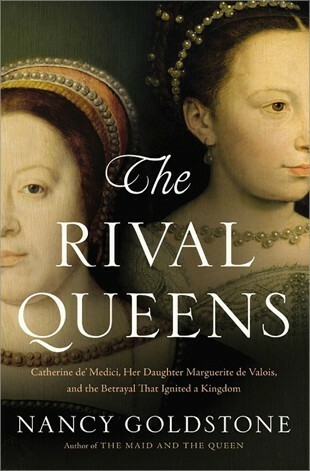 The Rival Queens is a dangerous tale of love, betrayal, ambition, and the true nature of courage, the echoes of which still resonate.